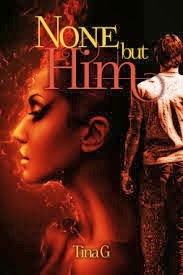 BEST SELLER(S): None but Him is Author's debut work. Manyata woke up in the morning with a headache and realised that she was locked in Param’s embrace. She could feel his constant breath against the nape of her neck. She didn’t move and shut her eyes again lest she wake him up. Her eyes filled with tears and her throat was choked. Whatever happened between them was totally uncalled for. When Manyata’s mother, Mamta, walked out of her husband’s home, Manyata too left with her. Though she had her inhibitions about going to Chandigarh but for the sake of her mother, she had to. But what she feared happened and she had no choice but to dance to the music. The person she didn’t want to meet ever came into her life again and she realised that she had never got over him. Though she had tried to get him out of her system but her heart was not smart enough. She realised that it was none but him for her. Manyata’s heart was pounding as her mind was in a great turmoil. She had always kept herself engrossed in her studies and then in her job, but the memories which she had tucked away in a little corner of her heart had come to the fore and flooded her thoughts. She could not evade them. The past had come to haunt her. Manyata smiled to herself slyly. She needed to be comforted more than her mother. Five years ago, when Manyata had gone to Chandigarh for her cousin Sheetal’s wedding, her whole life turned upside down. Those bitter-sweet memories had often made her break down into tears. She had cried herself to sleep many a night. MSM Speaks: Oh, what a wonderful surprise this was! I had started reading with the prospect that this love story would be as predictable as others and I would have to just get over with it. But how wrong I was. After a couple of pages, I realized that I was so wrong! The protagonist is a self made woman who has been going through a lot since her childhood. Her parents are separated and she sticks to her mother and moves to the city where her past memories of love and heartbreak come back to haunt her. In a freak coincidence, she ends up being with the love of her life, in an arrangement which she had never anticipated in her worst day dreams! I thought the book would be predictable, but Ms. Tina has proved me wrong! You cannot judge this simple love story by following complex ideas! The words are simple and smooth with emotions that each and everyone of us can connect to. The transition to the portions of Manyata's life may not flow seamlessly but as a debut novelist, Ms. Tina has a promising future ahead! It's a love story with a lot of twists! I wish her all the best! MSM Recommends! Tags: General/Indian Fiction, Love, MSM, None but Him, Tina G.
Am glad you liked it :) Will read this soon ..